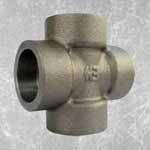 Alloy 20 Threaded Forged Fittings, ASTM B462 Alloy 20 Threaded Elbow, Carpenter 20 Threaded Tee, Alloy 20 Threaded Cap Manufacturer and Suppliers In Mumbai, India. 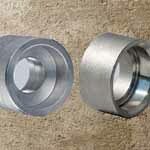 Alloy UNS N08020 Threaded Coupling Exporter, Alloy 20Cb-3® Threaded Pipe Elbow, Alloy 20 Threaded Forged 90deg. 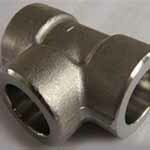 Elbow, Alloy 20 Threaded Cross, Alloy DIN 2.4660 Screwed Fittings Exporter in India. 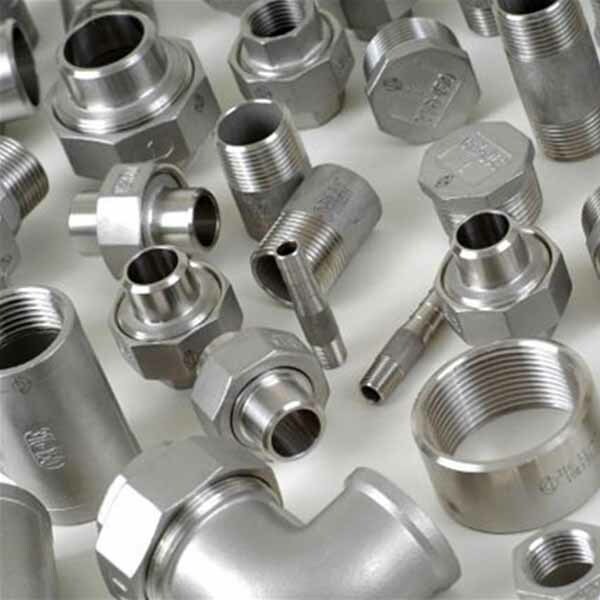 Ganpat Industrial Corporation holds expertise in offering our clients an exceptional array of Alloy 20 Forged Threaded Pipe Fittings that is acclaimed for high quality and wide applications. Due to its nickel, chromium, molybdenum and copper levels, our Alloy 20 Forged Threaded Elbow(UNS N08020) is ideal for use in corrosive environments. 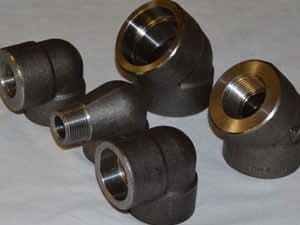 These Alloy 20 Forged Threaded Tee, which also includes copper and molybdenum, is popular in the production of gasoline, solvents, explosives, chemicals, pharmaceuticals and food and synthetic materials. Restricted carbon plus columbium stabilization in our Alloy 20 Forged Threaded Cross permits welded fabrications to be used in corrosive environments, normally without post – weld heat treatment. 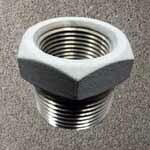 Meanwhile, these Alloy 20 Forged Threaded Cap are also being offered in different sizes and shapes to our customers, where we also offer the same at best prices. 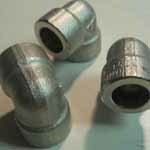 So, depending on who you talk to this alloy may be referred to as our Alloy 20 Forged Threaded Fittings or as a nickel alloy, where either way it is still great for corrosion resistance. These Alloy 20 Forged Threaded Coupling is often chosen to solve stress corrosion cracking problems, which may occur with 316L stainless. 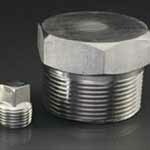 Our Alloy 20 Forged Threaded Union of the same name with the designation “Cb-3” indicates Columbium stabilized. 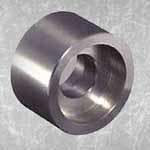 These Alloy 20 Forged Threaded Bushing Fittings appears to fall between both the stainless and nickel categories as it contains characteristics of both. 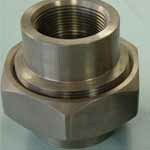 ASME 16.11 Alloy 20 Threaded Fittings, Alloy 20 Threaded Equal Tee, Carpenter 20 Threaded Exporter, Incoloy® Alloy 20 Threaded Plug, ASME SB462 Alloy 20 Class 2000 Threaded Forged Fittings Supplier in India. 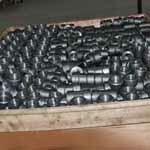 We focus on every procedure to assure quality, the package we usually take is pack Alloy 20 Threaded Fittings with environmental poly bags, and then in free fumigation wooden cases or wooden palte. Also can accept customized package such as OEM by negotiation. 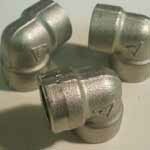 We offers just about everything to meet your Carpenter 20 Forged Threaded Fittings pack requirements. Lot of emphasis is placed on the packing and packaging. 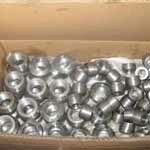 The Incoloy® Alloy 20 Threaded Fittings are packed in wooden corrugated boxes foiled in plastic wraps and bubble wraps. Melbourne, Surat, Mexico City, Toronto, Jaipur, Gimhae-si, Vung Tau, Hong Kong, Navi Mumbai, Atyrau, Haryana, Geoje-si, Coimbatore, Kuwait City, Rio de Janeiro, Caracas, Madrid, Ranchi, Rajkot, Dubai, Montreal, Courbevoie, Sydney, Indore, Busan, Noida, Thane, Hanoi, Petaling Jaya, Al Khobar, Granada, Colombo, Lagos, Cairo, Algiers, Jakarta, Secunderabad, Seoul, Ankara, Jamshedpur, Abu Dhabi, Nagpur, Los Angeles, Al Jubail, Jeddah, Chiyoda, Brisbane, Ahvaz, Moscow, Istanbul, London, Ahmedabad, Lahore, Bangkok, Visakhapatnam, Dammam, Thiruvananthapuram, Chandigarh, Bhopal, Hyderabad, Chennai, Milan, Aberdeen, Bogota, Ludhiana, Doha, Manama, Karachi, Muscat, Santiago, New York, Ho Chi Minh City, Gurgaon, Bengaluru, Nashik, Dallas, Baroda, Tehran, Mumbai, Edmonton, Pimpri-Chinchwad, Singapore, New Delhi, Kolkata, Ernakulam, Calgary, Sharjah, Ulsan, Houston, Riyadh, Faridabad, Kuala Lumpur, La Victoria, Kanpur, Pune, Perth, Howrah, Port-of-Spain, Vadodara. Indonesia, Azerbaijan, Greece, Morocco, Venezuela, Gabon, Austria, Thailand, Macau, Peru, Hong Kong, Philippines, Lithuania, China, Israel, South Africa, Ecuador, Gambia, Germany, Tibet, Australia, United Kingdom, Oman, Kazakhstan, Turkey, Egypt, Jordan, Angola, Poland, Mexico, Czech Republic, Portugal, Sri Lanka, Afghanistan, Costa Rica, Bhutan, Singapore, Malaysia, Libya, Bangladesh, Trinidad & Tobago,Tunisia, Mongolia, Norway, Kuwait, United Arab Emirates, Nepal, Estonia, Japan, Sweden, Croatia, South Korea, Spain, Qatar, New Zealand, Saudi Arabia, Canada, Italy, Ireland, Namibia, Colombia, Poland, Iran, Bulgaria, Nigeria, Yemen, United States, Iraq, Serbia, Puerto Rico, Nigeria, Mexico, France, India, Ghana, Hungary, Iran, Zimbabwe, Netherlands, Brazil, Chile, Algeria, Vietnam, Ukraine, Switzerland, Kenya, Belgium, Belarus, Argentina, Denmark, Slovakia, Russia, Taiwan, Lebanon, Pakistan, Bolivia, Finland, Romania, Bahrain, Chile.